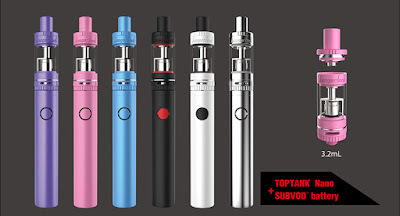 Kangertech is among the elite in the vaping community and now with their Subvod sub ohm starter kit they have made the transition to sub-ohm vaping extremely easy! The perfect starter kit for those coming from a smaller e-go vape pen and want to test the waters without breaking the bank. With a designed geared toward ease of use, the Kangertech SUBVOD Starter Kit comes complete with everything you need in an entry level set up. The kit includes a 1300 mAh SUBVOD Battery, a KangerTech TopTank Nano, Stainless Steel OCC coils, replacement plexiglass tank, and all of the general charging accessories.